THE United States is closing in on Scotland’s number one position for producing the world’s most powerful drinks brands according to a report. For the tenth year running, spirits brands including Johnnie Walker helped Scotland maintain its top position in the Power 100 league table compiled by brand valuation consultancy Intangible Business. 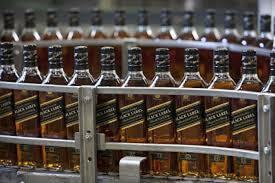 But the report said falling sales of Scotch in China has hit brand owners and enabled the US to make up ground. Jack Daniel’s enjoyed the largest rise in total score in the last year – up 7 per cent compared to an 11 per cent drop for the table’s most powerful brand Johnnie Walker, which the report said reflected drinkers’ appetites shifting away from Scotch and towards US whiskeys and bourbon.